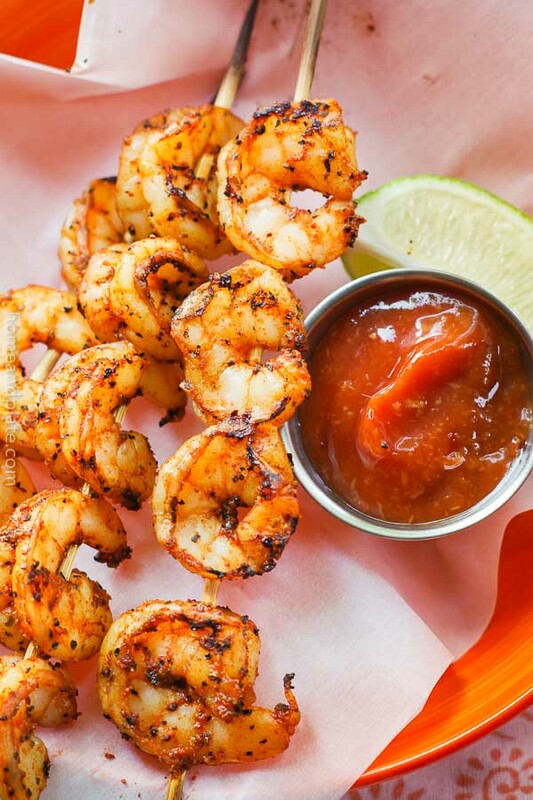 Grilled spicy shrimp skewers on the barbecue are the perfect midweek meal when you’re looking for easy, healthy and light. Marinated grilled shrimp flavored with lemon zest and basil served on a bed of Parmesan couscous is an easy spring and summer dinner that can be on your table in under an hour. Get dinner on the table in under 30 minutes with this easy and delicious classic Southern Dish – shrimp and grits. Have you ever had jambalaya? Not the kind out of a box but the homemade dish like what you get in New Orleans? 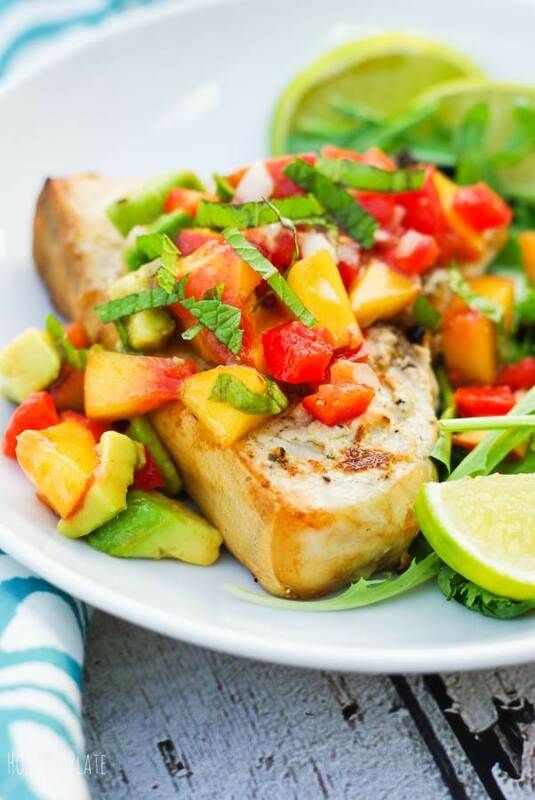 Take advantage of these late summer and fall evenings with a grilled swordfish dinner served with a fresh fruit salsa that’s light and delicious. 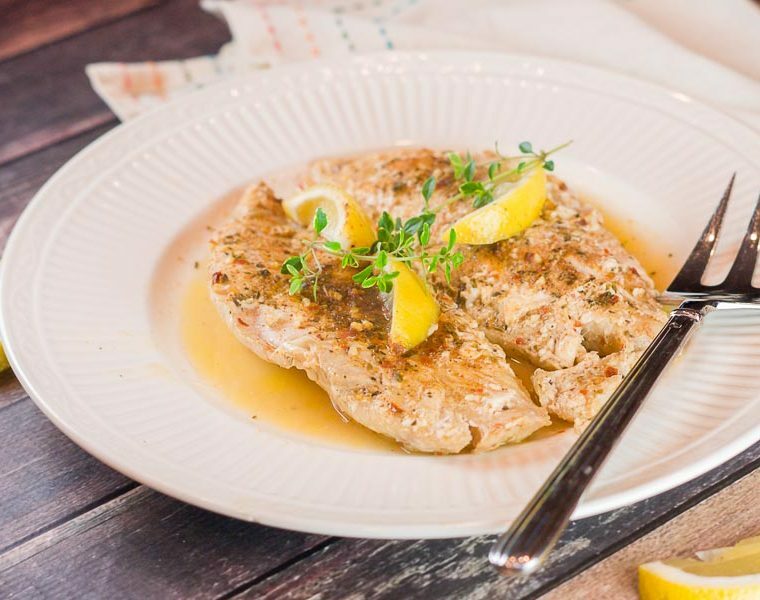 This flaky grouper recipe with lemon and herbs is intended for the grill. The shrimp is pink and tender, the course grits are creamy and cheesy and the heat from the andouille sausage will warm your belly. The secret to these classic crab cakes is that the succulent crab meat is mixed with just the right amount of crunchy Panko breadcrumbs.